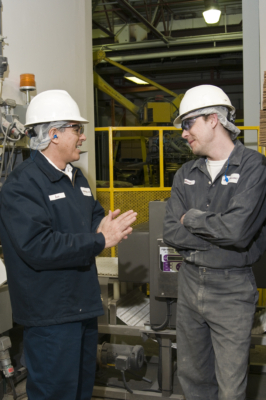 There are several options for milling education and training. 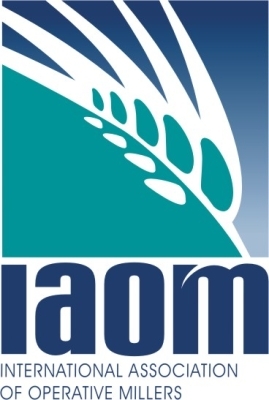 This unique certificate program prepares candidates to work in flour mills as an associate working in many of the areas of the modern mills. S tudies will include basic math needed for the mill environment, as well as an overview of equipment, electronics and electricity, and pneumatic fundamentals. Students will be introduced to the milling process, the wheat characteristics and the industry, and the various requirements of the gradual reduction process in making wheat flour. Quality assessments will be an integral part of studies. At the conclusion of the courses, candidates will complete an internship at a functioning flour mill. The milling program will support the mission of Cowley College by providing industry relevant skills and theoretical knowledge of both mechatronics and milling systems and their related processes. The State of Kansas will pay your tuition for qualifying Career and Technical Education classes, so you can take the FastTrack toward earning a degree, certificate, industry-recognized credentials, or work-ready skills. Cowley College’s vocational and technical programs prepare individuals for a wide array of challenging careers in specialized labor markets. This tuition-free incentive program encourages high school students to gain the training needed to enter a profession and, in many cases, earn an industry-recognized credential prior to graduating from high school. Qualified juniors and seniors in public, private, and homeschool high schools are eligible for free tuition through the Career and Technical Education Act (Senate Bill 155 for Kansas residents). Cowley College pays your incidental fees; however, you will need to purchase textbooks and may incur some small program fees. 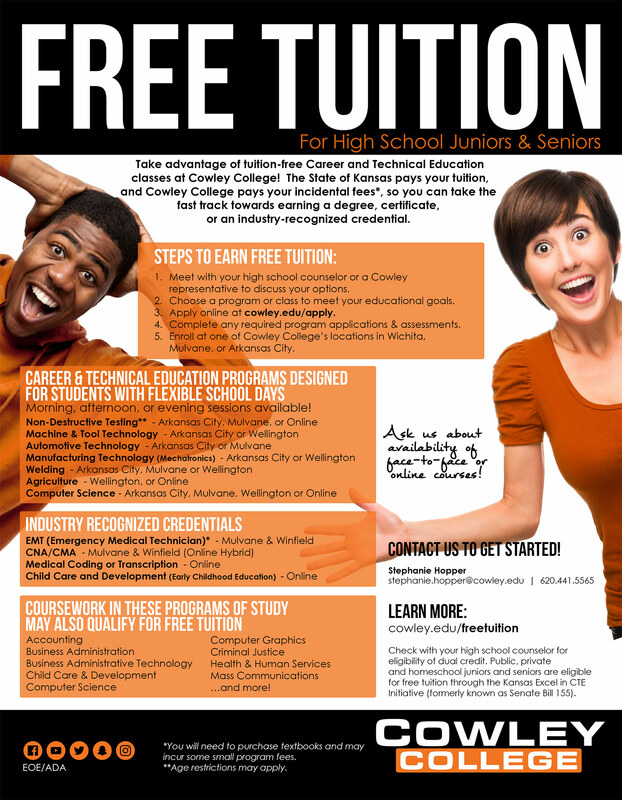 More information about free tuition. The International Association of Operative Millers offers an eight-unit correspondence course, as well as resident milling courses for those interested in improving their knowledge of grain milling. Learn more about what is going on in the industry by checking out some of the premier publications.